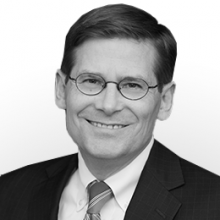 Michael Morell, the former Acting Director and Deputy Director of the Central Intelligence Agency, is one of our nation’s leading national security professionals, with extensive experience in intelligence and foreign policy. He has been at the center of our nation’s fight against terrorism, its work to prevent the proliferation of weapons of mass destruction, and its efforts to respond to trends that are altering the international landscape—including the Arab Spring, the rise of China, and the cyber threat. Politico has called Michael the Bob Gates of his generation. During his 33-year career at CIA, Michael served as Deputy Director for over three years, a job in which he managed the Agency’s day-to-day operations, represented the Agency at the White House and Congress, and maintained the Agency’s relationships with intelligence services and foreign leaders around the world. Michael also served twice as Acting Director, leading CIA when Leon Panetta was named Secretary of Defense and again after David Petraeus left government. 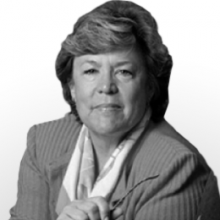 Michael’s senior assignments at CIA also included serving for two years as the Director of Intelligence, the Agency’s top analyst, and for two years as Executive Director, the CIA’s top administrator—managing human resources, the budget, security, and information technology for an agency the size of a Fortune 200 firm.